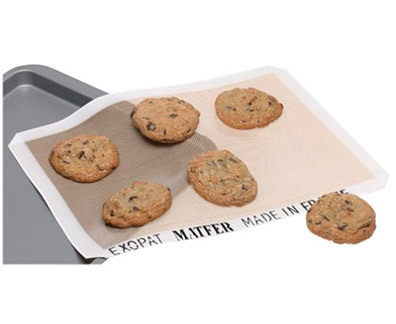 Made from heat -resistant silicone, you can use this baking tray liner over & over again. It's perfect for baking cookies or roasting squash, & makes clean-up a breeze. This is a high-quality Exopat, built to last, made in France.